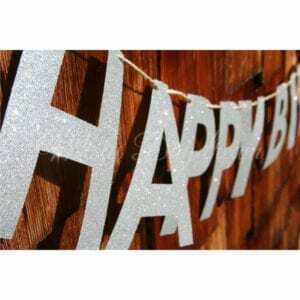 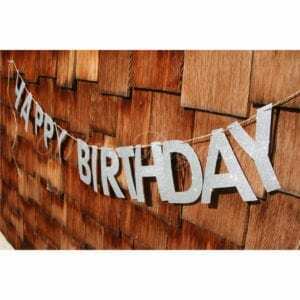 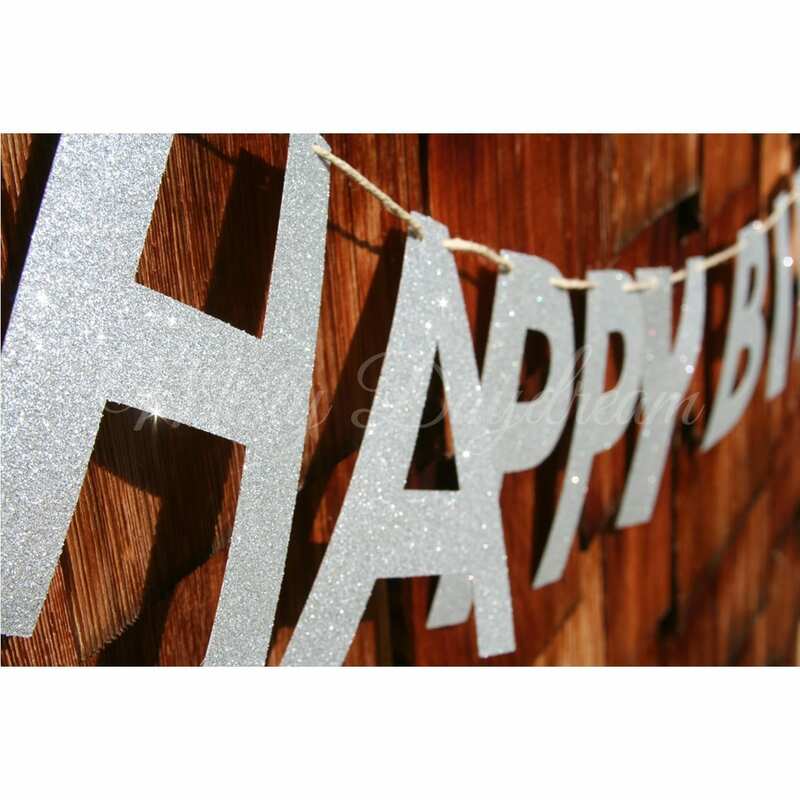 Fabulous “Happy Birthday” sliver glitters cut out lettering. 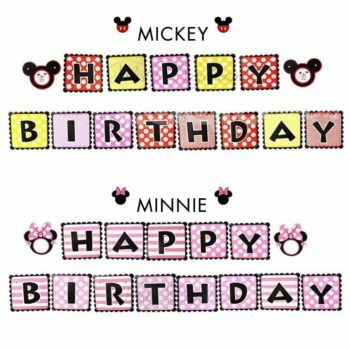 Each glitters lettering in height of 15cm, width differs according to each letter. 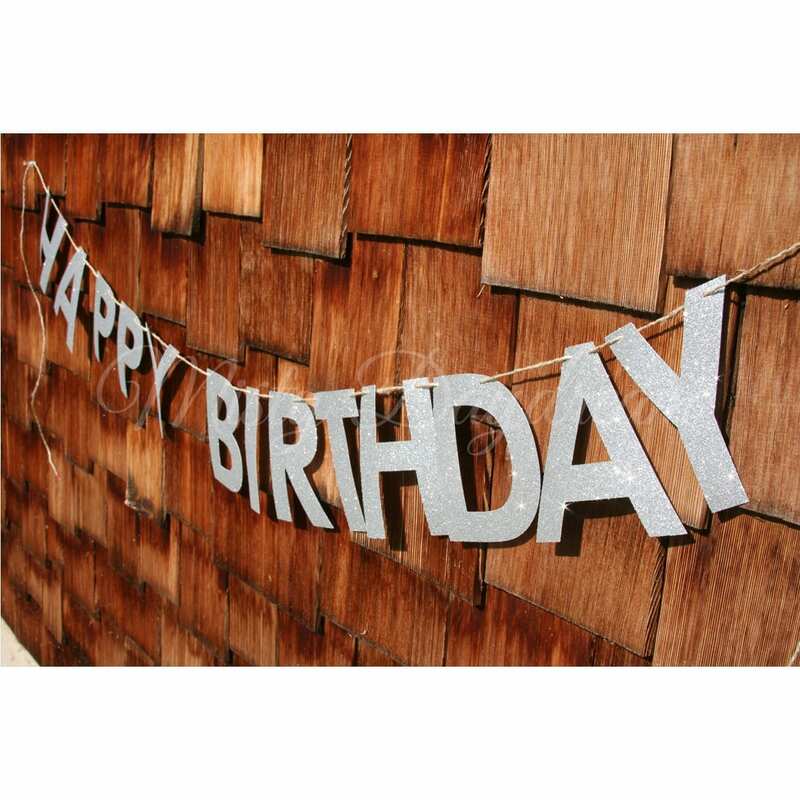 Lettering comes with pre-punched holes and a twine to string through. 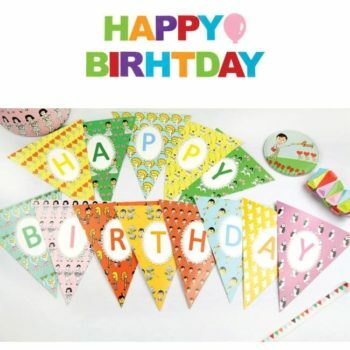 The whole strand of letter banner will be around 2 meters.